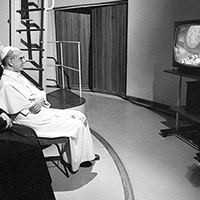 Giovanni Battista Enrico Antonio Maria Montini was born on September 26, 1897, in Concesio, Italy. 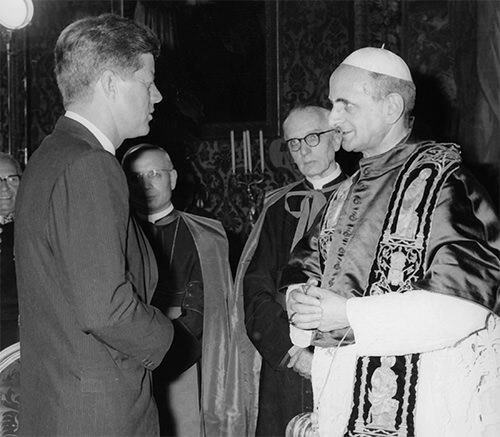 Ordained in 1920, he spent many years working in the Vatican Secretariat of State. 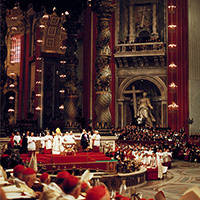 While there, he organized the Vatican’s massive relief work for political refugees during World War II. 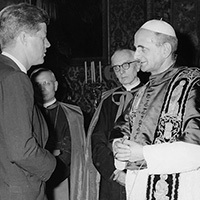 After being named “Pro-Secretary of State” in 1952, Montini was appointed Archbishop of Milan the following year and became known as the “archbishop of the workers.” He revitalized the diocese, preaching the Gospel’s social message and promoting both Catholic education and the Catholic press. 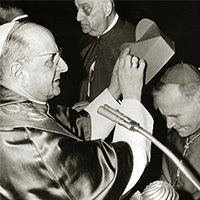 Pope John XXIII named Montini a cardinal in 1958 and soon after announced the Second Vatican Council. 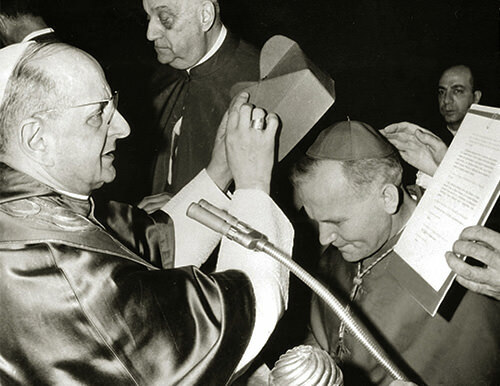 During the Council, however, Pope John XXIII died, and the well-respected Montini was elected on June 21, 1963, to succeed him, taking the name Paul VI. 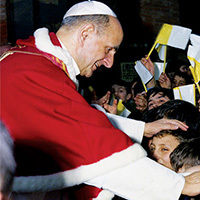 Committing himself to continuing the work begun by John XXIII, he continued the Council and then overcame resistance to implement reforms in the areas of liturgy, Church governance, and the attitudes of Catholics toward other religions. 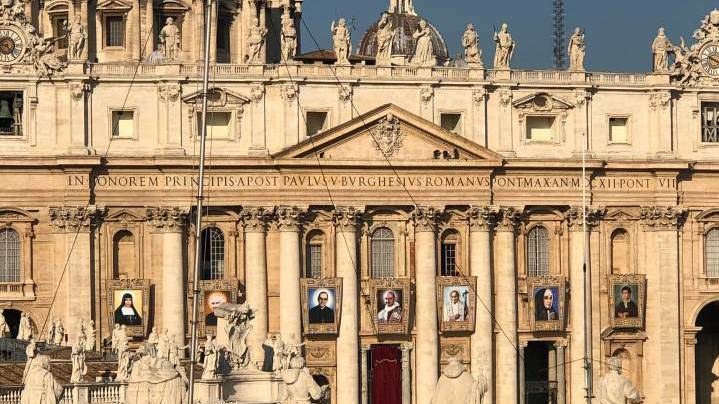 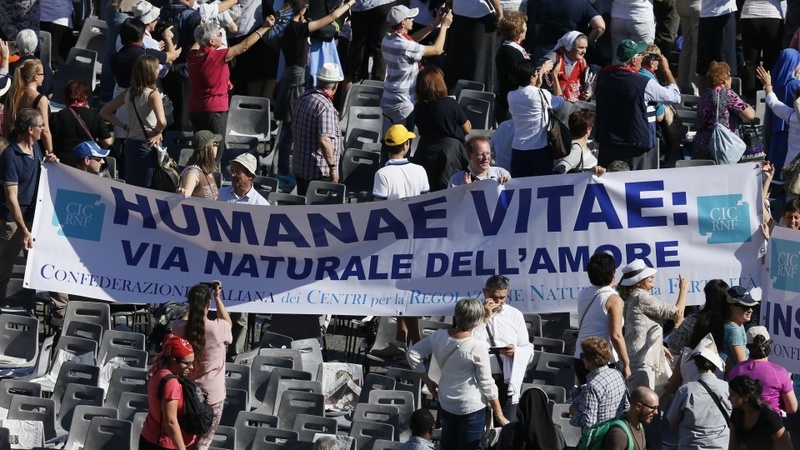 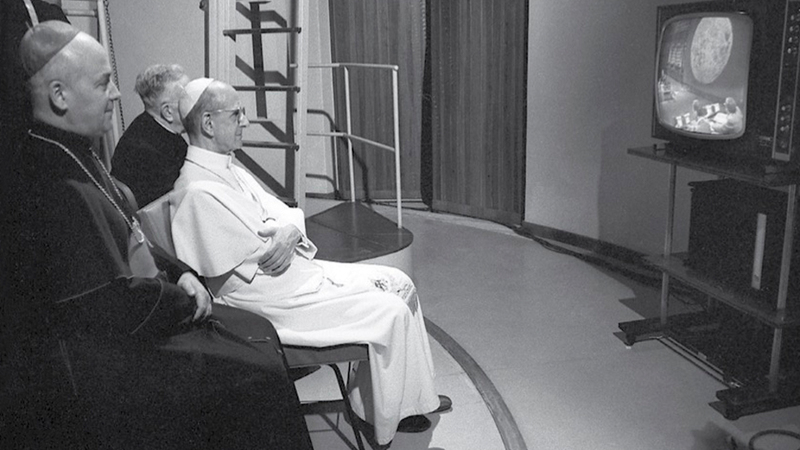 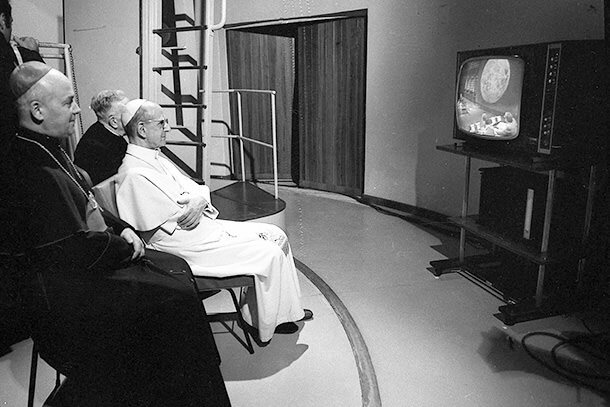 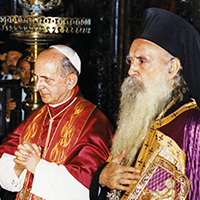 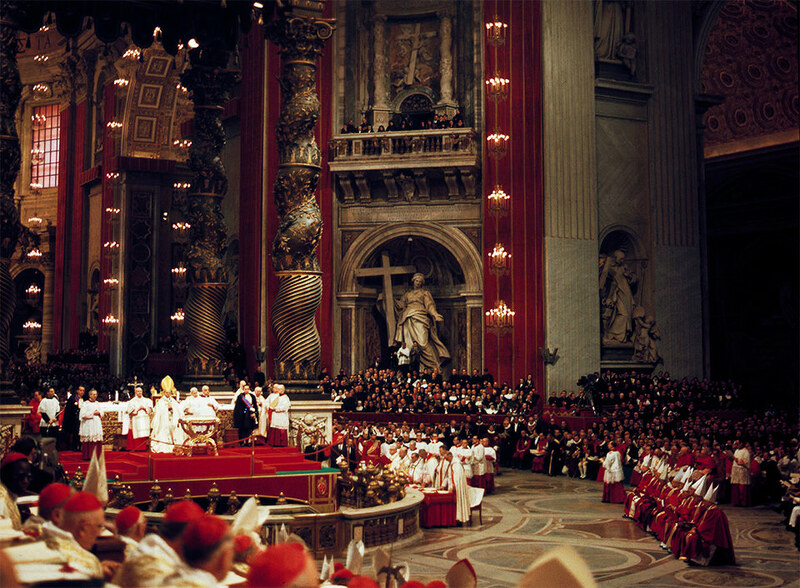 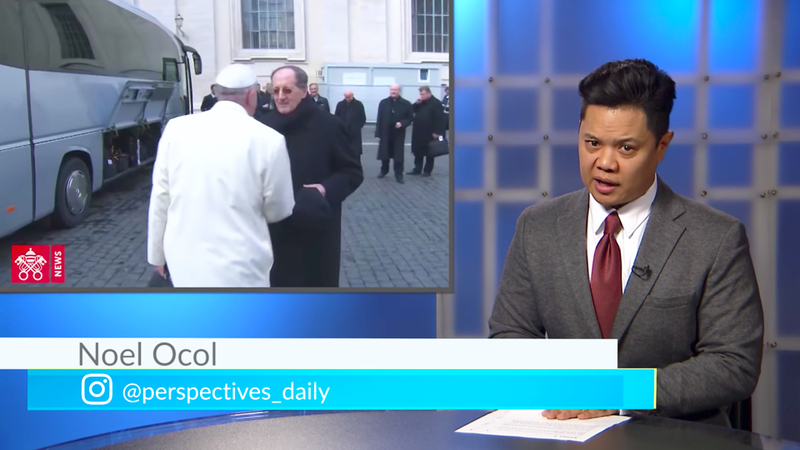 Though controversies surrounding ideas and encyclicals, especially 1968’s Humanae vitae, can be seen as overshadowing his pontificate, the reality is that Paul VI’s papacy and writings aimed constantly at working toward lasting justice and peace. 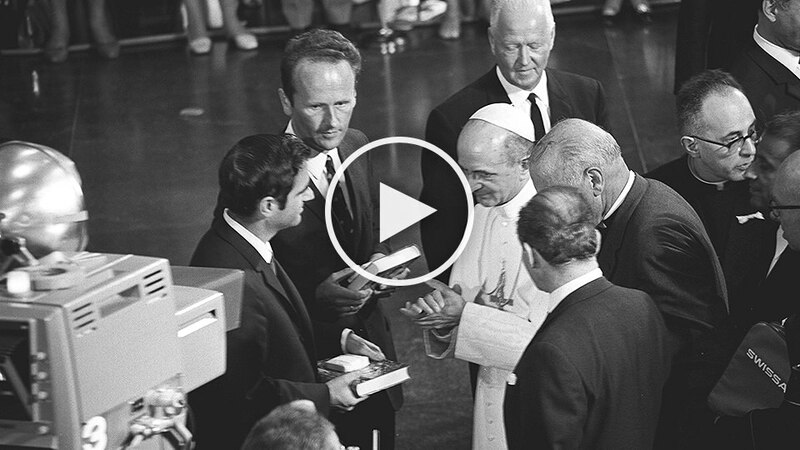 He brought a message of human rights, human dignity, and human development to the world. 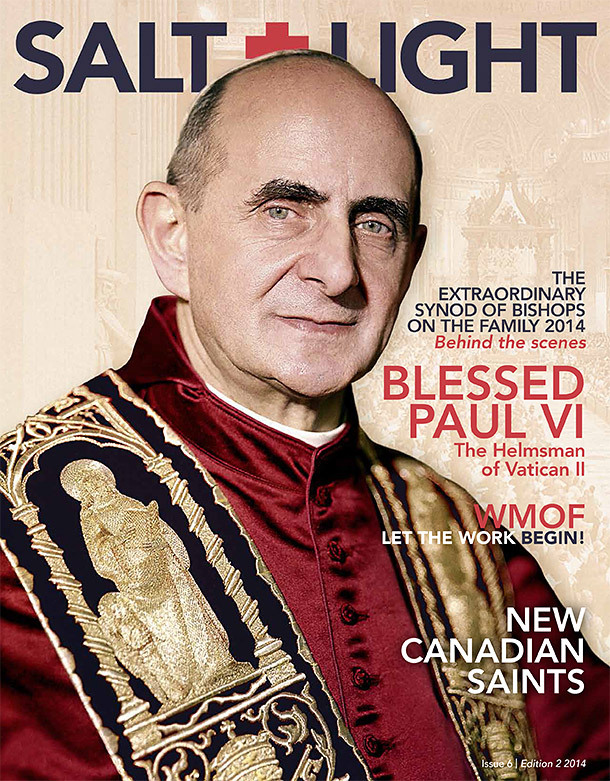 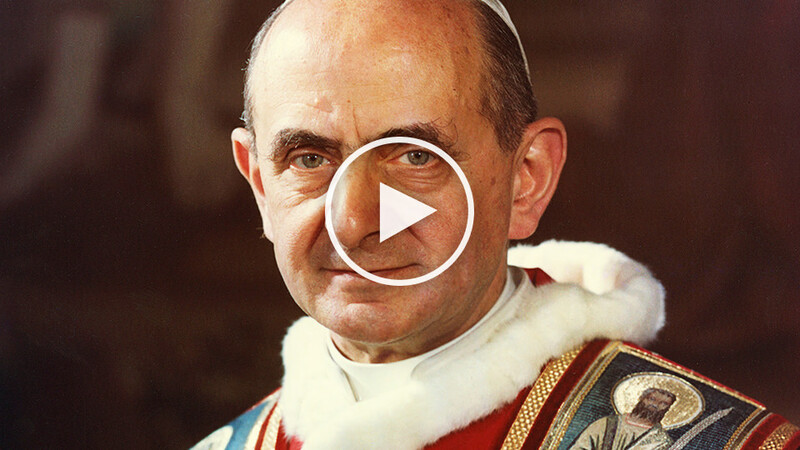 Known not only as a brilliant but also as a deeply spiritual, humble, and gentle man, Paul VI never failed to glimpse the radiant beauty of the transfigured Lord. 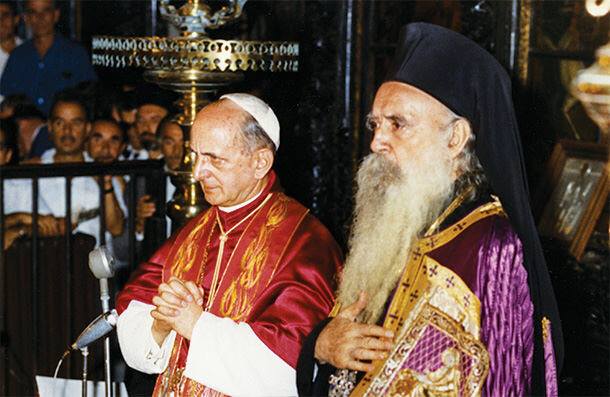 It seems no coincidence, then, that he ended his earthly life on the Feast of the Transfiguration of the Lord, August 6, 1978. 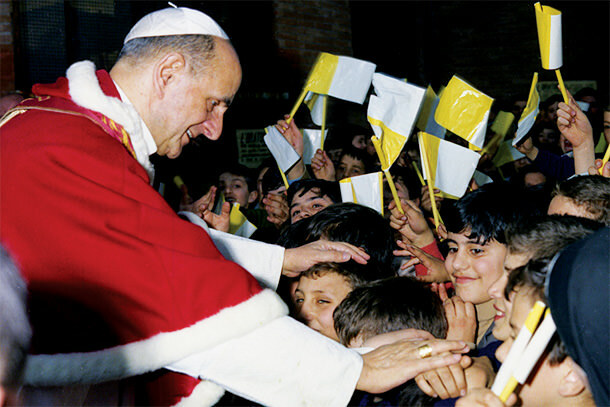 Pope Paul VI asked that his funeral be simple, and it’s this kind of humility that was remembered as he was beatified on October 19, 2014, and continues to shines forth today.